Today’s featured photographer on Beyond Here is Janet Hastings. Janet lives and works in Melbourne, Australia and operates her business as Janet Hastings Photography. Read on to learn more about Janet, her business, and how she operates. Janet, tell us about Janet Hastings Photography …. Janet Hastings Photography was born through the encouragement of my family following the birth of my twin grand daughters. I have always had a camera in hand, and have honed my skills over many year producing stock photography. This had always been a hobby and a way to fund my photography equipment. When my grand daughters arrived, my love affair with newborn photography began. Within a few months I was following this new dream of developing a photography business specializing in newborns, maternity, and baby’s first year. To get my dream off the ground I went back to study to gain qualifications in photography. I never want to stop learning. I am never happier than when I am creating beautiful memories for new parents of their newborn’s earliest days. Janet aims to capture the essence of a newborn. Image copyright Janet Hastings Photography. I love to capture the pure essence of a newborn baby. For me, this means minimal props, with a focus on simplicity. I love to capture real memories of these earliest days – the serenity of a sleeping newborn, the unexpected facial expressions, right down to the tiny squishy lips, little toes, fingers and the tiniest fingernails. I also love to capture the essence of the relationship between new parents and their tiny baby. I know the images I create will become treasured family keepsakes. While you use minimal props, what are your favorites? My main props include a large variety of backdrop throws – soft and snuggly blankets in various colors and textures which set the color palette for each part of the newborn shoot. I then select complimentary wraps, bonnets, nappy covers and sometimes a special keepsake that the parents would like included. I have a variety of wicker baskets and tubs that I layer with faux furs and other fabrics to make a snuggly nest for baby. Prior to the session, I discuss with my clients their color preferences and home decor to ensure that the color palette of the blankets and props compliment their style as well as my creativity. How do you prepare for a new born shoot? I have a home studio dedicated to newborn photography. It has a large posing pod, backdrops and continuous lighting using soft boxes to soften and diffuse the light. I shoot with a Canon 7D which is ideal for my style of photography. I particularly enjoy using my Sigma Art Series 35mm lens for newborn photography, but will swap around with my other lenses for variety. It is so important that the parents feel relaxed and at ease during the photoshoot. I have a comfortable couch in my studio where parents can relax and generally feel at home while I photograph their baby. I provide a feeding cushion and privacy during feeding times. I do request that one of the parents assist when I am posing and photographing baby. I will never force a baby into a pose that they don’t seem comfortable with. Every baby is different as some are more flexible than others. Some curl beautifully while others like to stretch their little legs and my role is to work with the differences and still create memorable images. Baby definitely sets the pace and flow of my sessions which can last 3 hours or more. Newborns have difficulty regulating their body temperature so I always heat the studio. While it can become uncomfortably hot for the adults, baby will be cozy and more likely to drop off to sleep for those beautiful, serene, sleepy images I hope to capture. I also use white noise which helps an unsettled baby to relax and drift off to sleep. What is your most memorable session? I have had many memorable moments, both fun and challenging. With newborn photography you need to expect the unexpected. I let parents know that ‘little accidents’ are bound to happen, and when they do we simply clean up and move on. 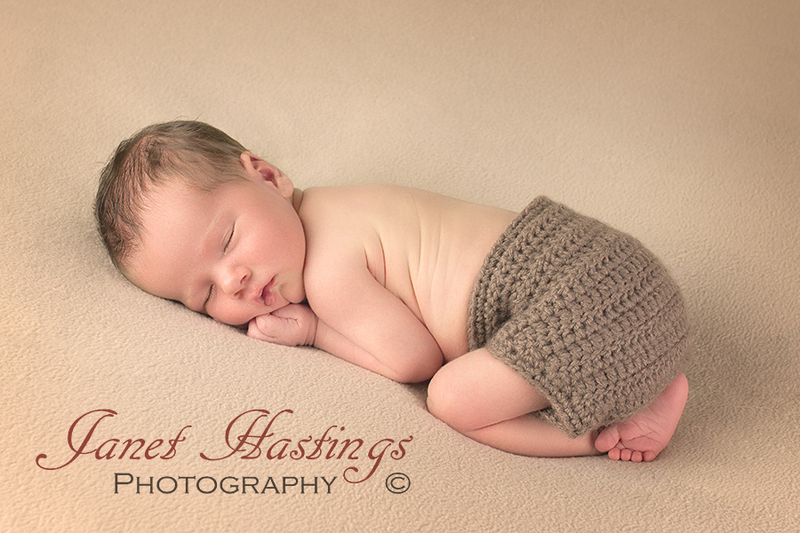 It is just a part and parcel of newborn photography. I remember, during one of my early photo shoots, when a dad ended up with a handful of the ‘unexpected’. He didn’t know what to do for a moment but handled the situation so well. After the clean up we moved on with a very successful session. I’m sure that will be one of the stories that comes to mind when his daughter turns 21! The challenging moments usually relate to fractious babies – the newborns that love to be cradled in their parents arms and instantly become upset when laid down. The greatest asset during a newborn session is patience and time. I am a naturally patient person which assists greatly when I am working with an unsettled baby. I usually succeed in settling a newborn to sleep during their shoot. I employ techniques I have learned through being a mum and more recently a grand mother. I have often been asked by a new parent if they could take me home after their session! Have you heard of the baby whisperer? What are your keys to an efficient work flow? My work flow commences before I even meet my clients. The first contact is usually by phone or email. I then provide information regarding cost and preparing for a newborn session. I ask my new client to complete a pre-session questionnaire which gives me insight into their style, their home decor and what they are hoping to achieve from their session. After the session I use Lightroom to rate and short list the images to 30 to 40 of the best images which I present to my clients. I make basic adjustments to these images in Lightroom, and then export to Photoshop where I edit for skin tone, blemishes etc. My aim is to present images that truly reflect baby’s earliest days, so often I will leave flaky skin which is so typical of a newborn. The end result is a dreamy, serene style that parents love. The parents return for a Portrait Preview Session approximately 3 weeks after the shoot. 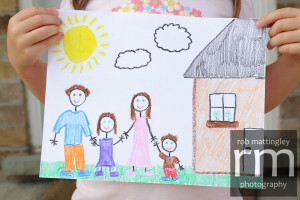 I use ProSelect software to conduct this session where parents choose the images they wish to use for their end products. That may be framed or block prints, canvases, keepsake albums and image boxes. Often clients will order enlargements or mini albums as gifts for grandparents. How do you generate new clients? Word of mouth is the best advertising – a happy client is always willing to refer you. I run a referral program so that the referring client receives a voucher for a future session if someone they refer books and completes a session with me. The importance of social media cannot be understated. My website showcases my work, generates business and includes my blog (which is linked to social media). My facebook page is also an important aspect of my advertising program. With my clients permission I post one or two preview images on facebook following a shoot which my clients happily share with their facebook friends. I always watermark these images so that my business name is shared as well. I occasionally offer model calls via my facebook page which are very popular. Participants receive a set number of prints for their time. During these sessions I can be free to work on new concepts and ideas and I use these as my professional development time. Model call sessions often result in further portrait sales and I make sure that my models and their parents enjoy the experience. These assist with word of mouth advertising too. If you had 3 tips for photographers starting out in new born photography, what would they be? Never stop learning – become a sponge to soak up all the information you can about your equipment, newborn posing techniques, editing software and marketing. Don’t be discouraged if obtaining clients is slow at first. Persistence is vital to build your brand and your business. Be prepared for slow times at first, and use these times to develop your skill, learn something new, or develop advertising ideas. Value yourself and your time. Make sure that you charge appropriately for your services. Take into account your time and talent for the photo shoot and the hours you put into post processing. You also need to cover your costs for website hosting, affiliations, public liability insurance etc. Most importantly, don’t sell yourself short. What does the future hold for Janet Hastings Photography? In January 2015 I gained accreditation with the Australian Institute of Professional Photography (AIPP) which has opened up a whole new world of inspiration and opportunities. I plan to continue to grow my business, to be a life long learner and an inspiration in my field of newborn photography. Thank you Janet for sharing your story and your tips. To see more of featured photographer Janet Hastings work please visit her website at Janet Hastings Photography. This entry was posted in Featured Photographers, Portraits and tagged featured photographer, Janet Hastings, newborn photography, newborn photography tips on June 6, 2015 by Craig Dingle. I set up jackalphotography 2 years ago. It is a combination of me, Alan Hinchliffe, and my other half, Jacqueline Bamber. We have both been into photography for 6 to 7 years. The website was really something I wanted to try my hand at, and to show some of our favorite nature and animal captures. What are your favorite places to photograph wildlife in the UK? We are pretty lucky because our favorite places are wildlife parks and nature reserves, and we have some great ones local to us. 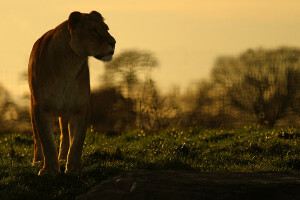 The Yorkshire Wildlife Park is pretty new and its an amazing place, huge enclosures, a great selection of animals and camera friendly – not too many mesh fences. RSPB Old Moor is about 5 minutes drive and it has several hides. The garden hide is set up with perches and has a corner for photographers to sit. It also has some great wildlife, flowers, and bugs for practicing your macro shots. When you go to a wildlife park what gear is in your bag? In my bag is a Canon 7D which is ideal for my wildlife needs with its high burst rate and great auto focus with the Canon 100-400mm lens. It is a sharp and versatile lens and is almost always attached to my camera. I also carry a recently purchased Sigma 105mm macro lens, spare batteries, memory cards, cleaning cloths, and that’s it! It is now mid summer in the UK, what photo shoots do you have planned for this time of year? For the next few months I will be getting out to do some macro work. At this time of year its great for bugs and wild flowers. 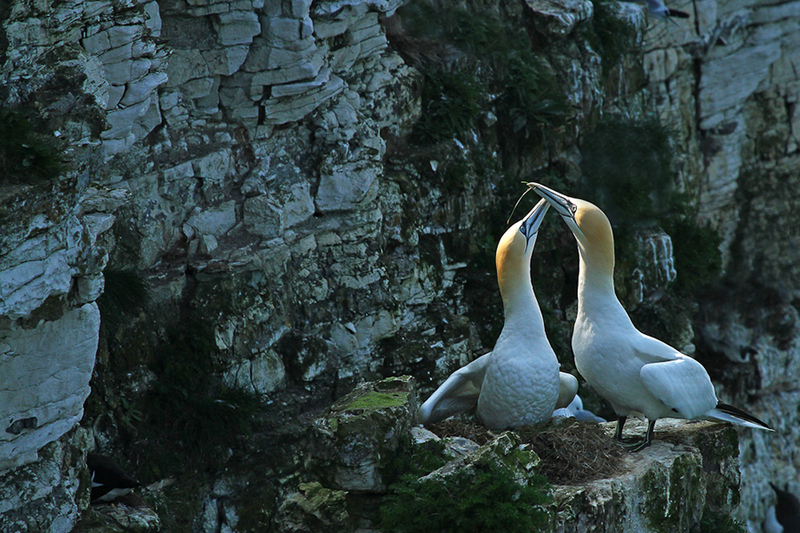 I will also take a trip to the coast to RSPB Bempton Cliffs to see the nesting seabirds – the thousands of gulls and gannets they get there each year is quite a sight! 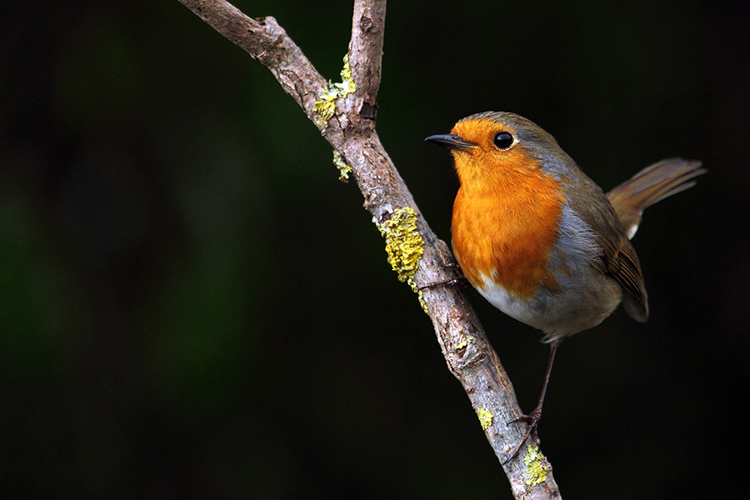 What are your top 3 tips for nature and wildlife photography enthusiasts in the UK summer? Usually I would say – take an umbrella! – but its been a pretty good summer so far. Seriously though, macro is the way to go in the UK summer. 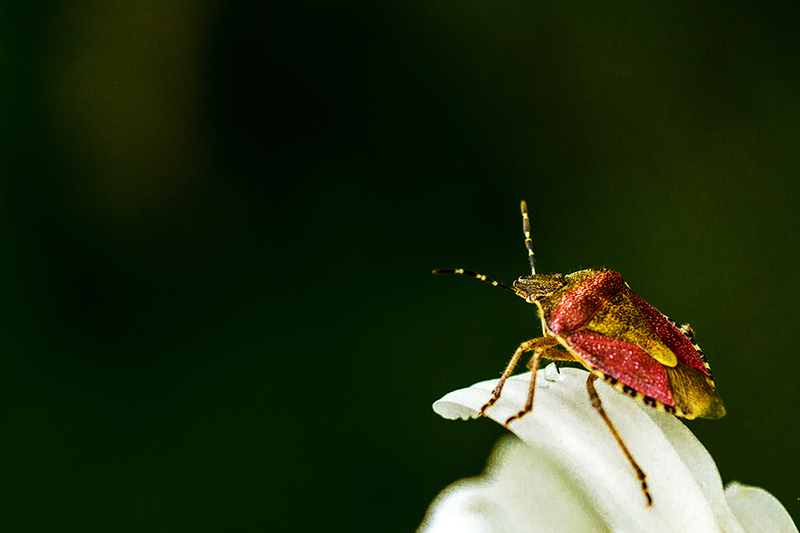 So visit a nature reserve or get out in the garden or countryside and start looking for some bugs to shoot. 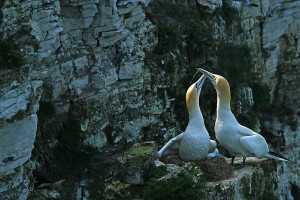 Also places well known for seabird colonies like Bempton Cliffs, or Farne Islands for the puffins and gannets. Gannets make for great ‘bird in flight’ practice, as they are huge and just glide through the air. Take plenty of batteries and memory cards as your finger will never leave the shutter button at these places. Evening light suits me best – the sunrise is far too early in the summer for me! Alan’s work in nature and wildlife photography has been recognized by being published in several magazines including Digital Photographer. UK residents can buy prints directly from Jackal Photography’s website and photographers worldwide can connect and follow his work via Google+. Thank you for being Beyond Here’s featured photographer Alan Hinchliffe. This entry was posted in Featured Photographers, Wildlife and tagged alan hinchliffe, england, gannets, jackal photography, photography, uk, wildlife photography, yorkshire on July 7, 2014 by Craig Dingle. Welcome to a new section on Beyond Here – where we meet featured photographers from around the world. First is Rob Mattingley from Canada. 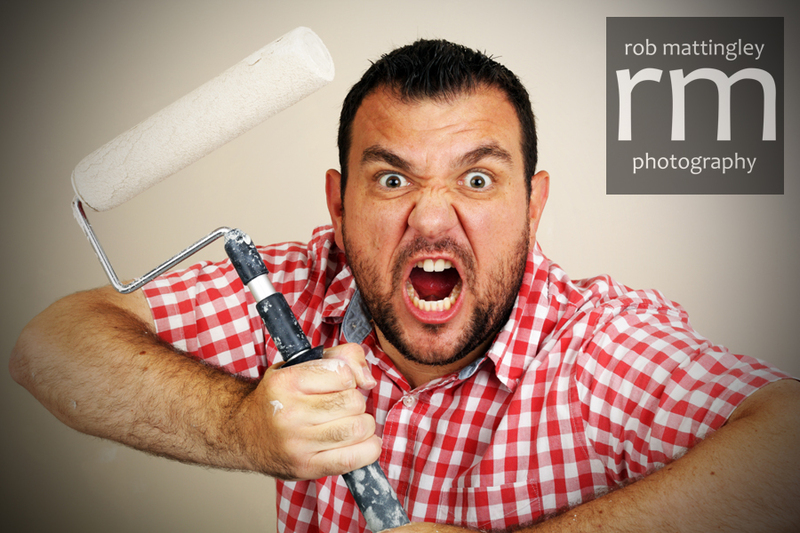 Rob is a stock photographer based in South West Ontario, Canada. He supplies images exclusively to one of the world’s best known microstock agencies (iStockphoto). He is also one of their discussion forum moderators. In his early microstock days, Rob was known for his friendly, helpful approach to other contributors, and for modelling in own stock images. 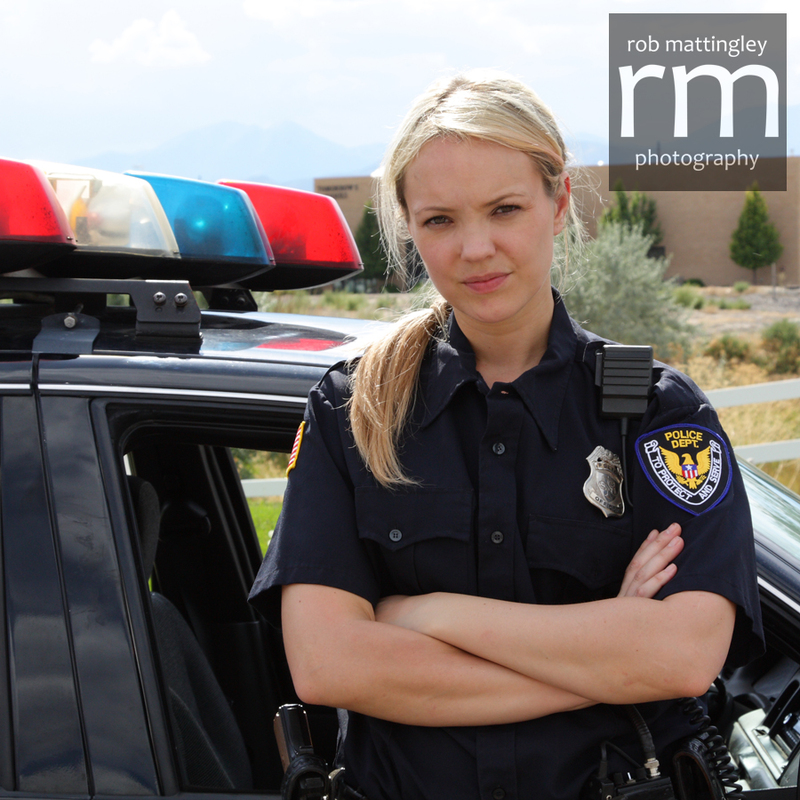 Rob, tell us about Rob Mattingley Photography and the type of images you make. Hi Craig – thanks for having me! I am based just outside Toronto, Ontario, Canada and primarily focus on stock photography. Occasionally I am asked to help out taking photos for a variety of events, but most of the time I’m shooting stock (when not taking photos of my family). A good chunk of my stock photography came from two events I attended over the past few years, but I also have a bunch that were taken closer to home. I try to get as many “people images” as I can – but I also created a bunch of “child like drawing” images over the years which have proved to be successful. In the early days of your microstock photography career you regularly featured as a model in your own images. How did you manage being on both sides of the camera? It definitely takes a lot of trial and error when trying to take these kinds of self portraits, that is for sure! I often find myself too far on the side of the image and then need to adjust myself in the next shot. It is a lot of fun though as you can go for as long as you want – and the model doesn’t cost you any money! Beyond Here is going to call these “stock selfies”. Where have some of your stock selfies appeared in use? I am a big fan of the Google Image Search for finding my photos in use. Some of my stock selfies have shown up on websites either to sell a product or to help tell a story. A friend in England found a photo of me on a bank billboard which I thought was pretty cool. My favorite find though had to be when one of my self portraits ended up on the American television program TMZ. 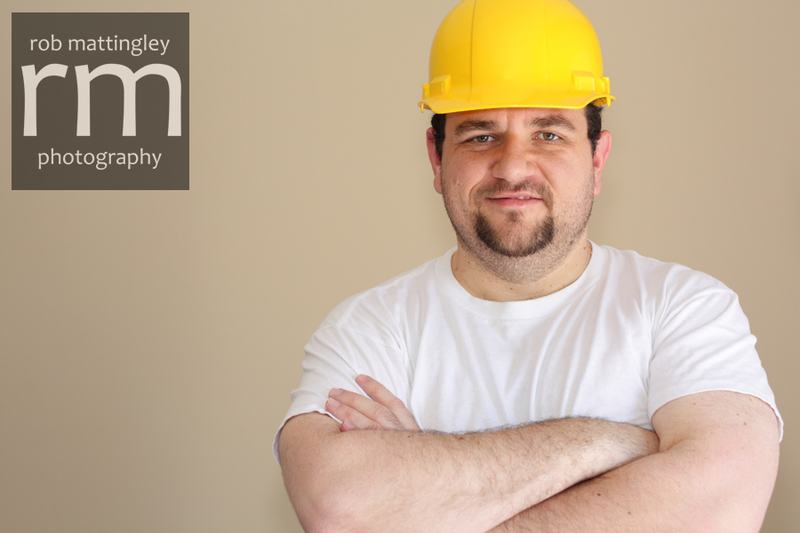 I’ve managed to sell quite a few of my stock selfies and my most downloaded image is one of me as a construction worker – I guess I look the part! You have been an active contributor to microstock forums and are now a forum moderator. What is it about the interaction with clients and contributors that you enjoy? Honestly, I just like helping others whenever I can! As an iStock moderator, it allows me to be able to point people in the right direction to get the answers they need. For a lot of people iStock is their main income so I want to help make sure that they can quickly find what they are looking for and get back to taking photos. I remember when I first started, I saw a lot of new contributors asking the same questions, so I decided to put together a FAQ for “newbies” so that they could find everything they needed in one place. It was great that so many people found it useful. Rob, you have attended organised stock photography events with other microstock photographers. Can you tell us about them, and how they have benefited your photography? I have been lucky enough to attend two fantastic events through iStock. The first one I attended was in Utah in 2011, hosted by Rich Legg. We had a 3 day shoot with 12 different “stations” where we had the ability to take photos of things such as indoor rock climbing, auto mechanics, police officers, a yoga class, and a backyard pool to name a few. The second was in Texas in September 2013, hosted by Steve Debenport. 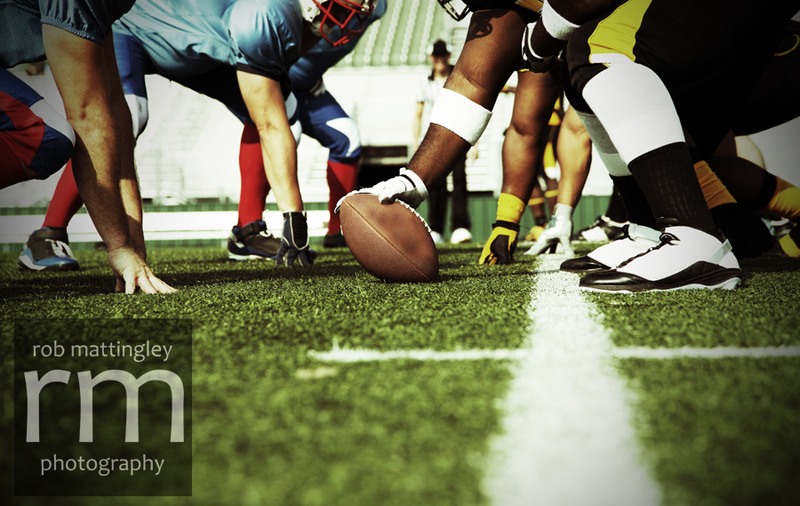 We had a 2 day shoot that was made up of various business scenarios on the first day and American football on the second day. Both of these events were very well organised and had lots of models to work with. I met some fantastic photographers who were willing to help me learn. I was able to add 250 images from each event which really helped build my portfolio. Definitely a great experience each time! For Beyond Here readers starting in microstock today, what are your tips for success? It is definitely getting harder to make a name for yourself in stock photography these days as there is so much competition. I would suggest that if you want to be successful the first tip would be to take it seriously! Obvious I know, but so many people don’t do that. You need to do some research to see what makes a good stock shot and how to make it possible. You typically need to have models “doing something” – but that doesn’t mean you can’t use friends and family members (or yourself, if you are like me!). Most sites have millions of images so you need to make sure that you always upload your best work and keyword it properly or else it won’t be found. I started roughly five and a half years ago and I definitely learned a lot in my time at iStock and look forward to what the future brings! Thank you to Rob for being Beyond Here’s very first featured photographer.To connect with Rob Mattingley, look for the Rob Mattingley Photography facebook page or follow his work through his istockphoto portfolio. This entry was posted in Featured Photographers, Stock Photography and tagged featured photographer, microstock photography, photographer, Rob Mattingley, stock photography, stock selfies on July 5, 2014 by Craig Dingle.